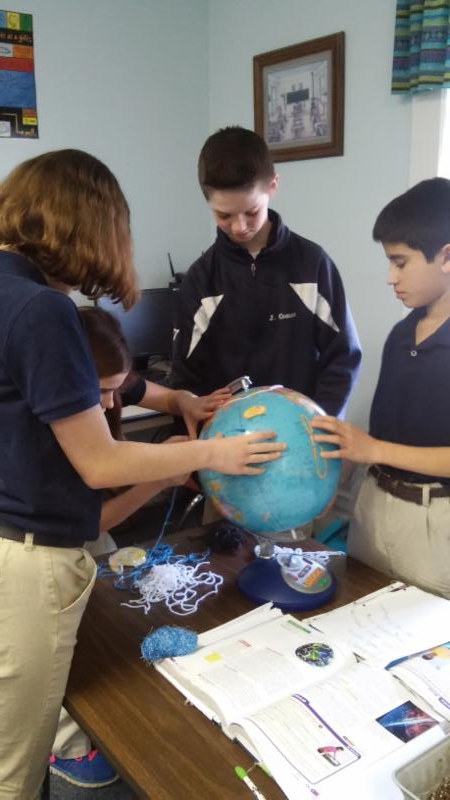 6Th grade making models of global wind patterns. Beautiful warm weather and NCAA basketball - life doesn't get much better. 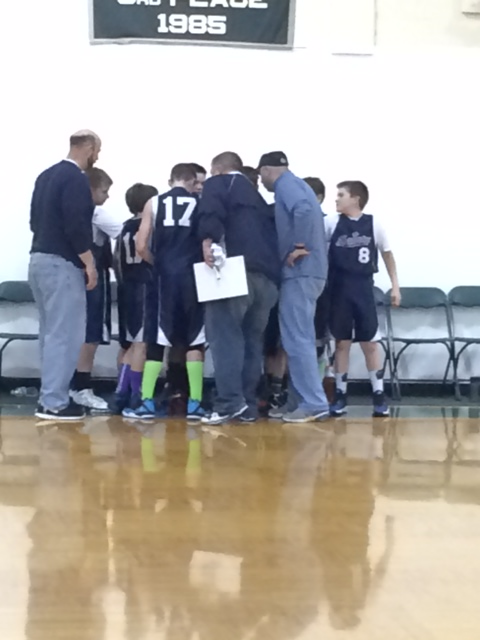 All our St. John basketball teams finished their seasons this weekend. The teams represented our school very well and had good seasons. I would like to thank our athletic director, coaches, players, parents, and fans for making this a successful season. I want to extend a special thank you to all who are helping the Bwerevu family with meals and support this week and last. The memorial Mass for Manda Bwerevu Sr. was Saturday afternoon. Please continue to pray for their family. As we continue with open enrollment, please spread the word about our great school. As parents, you are our best recruiting tool! Students should be bringing home a revised school calendar today. You can also find the calendar on the school website or click here. Students may wear their recycling shirts to school on Thursday, March 19th. Also, don't forget to keep collecting bottles and cans to recycle. Please pre-count your recycling before dropping it off in the recycling center. Please turn in your child's washed uniforms this week to the office in a bag with your child's name on it. Thank you! Mom's and children in preschool thru 2nd grade are invited to join us in the undercroft on Tuesday, March 17th, from 7:30 -8:30 AM for a small breakfast and time to get to know other families. We would love for you to join us at Mass after the breakfast. Parents, please take your child to their classroom before heading to the undercroft so that their teacher knows they are at school and can get a lunch count. 3rd- Linela D., Joshua D., Ava H., John R., Madison S., Sawyer J., Caroline R.
4th- Max B., Gianna B., Mazie C., Eva L., Shea M., William M., Spencer M., Sydney S., Jaxon W.
5th- Hunter B., Kristin D., Connor G., David R., Alex M.
6th- Jonathan H., Kylie H.
7th- Eli C., Spencer G., Katie T.
8th- Margaret A., Cole H., Nathan M., Brian R.
1st- Cade B., Liam C., Kaylynn C., Jeremy M., Kathryn S., Michael O., Lily F.
2nd- Matthew B.,Adrianna B., River C., Mackenzie H., Audrey J., Preston L.
3rd- Maddie B., Charlie C., Nathan K., Zachary M., Joseph M.
5th- Dominic B., Hana J., Logan H., Evan L., Evan M., Lincoln N., Bridgette M., Gabe N., Lily U. 6th- Nicholas B., Jackson C., Matt D., Ethan F., Grace C., Josie H., Aidan L., Jacob N., Elaine S.
7th- Lucy B., Rebecca D., Spencer M., Jim N., Kyla P.
8th- Peter D., Grant F., John K., Ryan M., Joseph C., Caanan N.
3rd- Joseph M., John R.
4th- Shea M., William M., Marcus T.
5th- David R., Damion T.
The enrollment team is looking for new people with new ideas. We meet monthly in the school office on select Fridays at 10:30 . 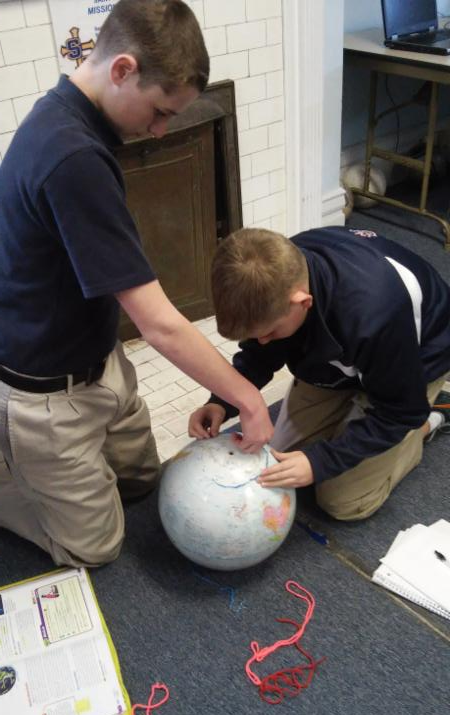 If you would like to join out team please email the school office at office@stjohnschoolonline.org. If you want to join but can not attend meetings during the day, please let us know. We do send a lot of information via e-mail. The computer lab will not be open Monday 3/23.The computer lab will be open on Monday's from 3-3:30 for students to take AR quizzes.